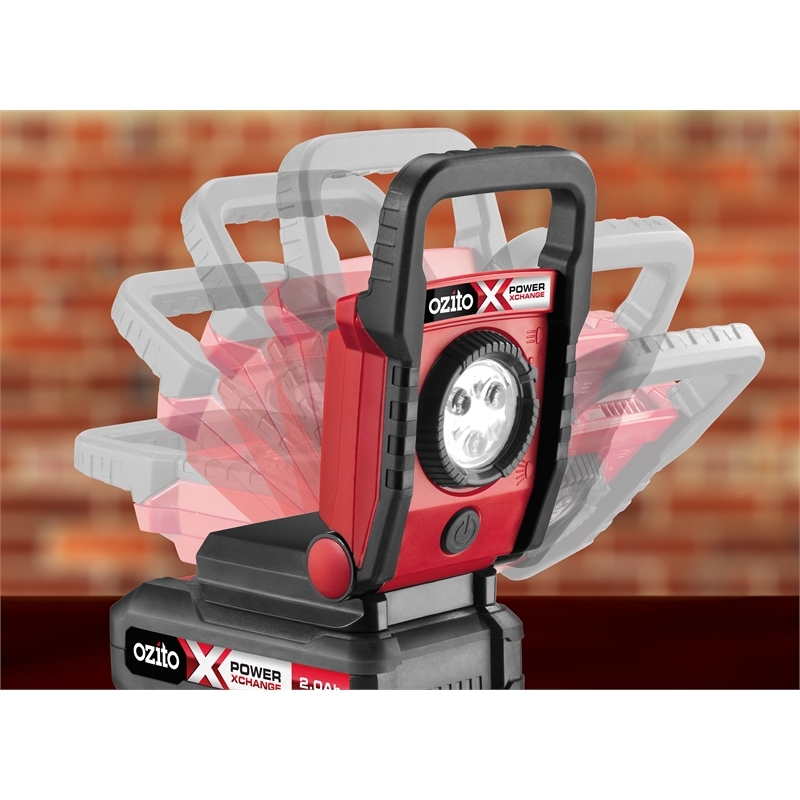 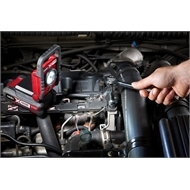 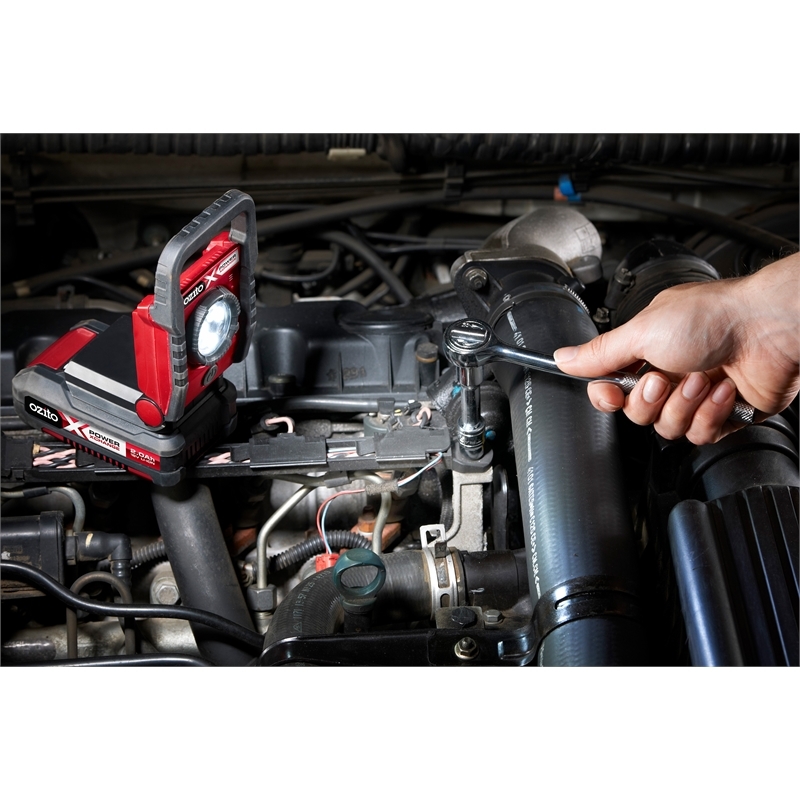 Don’t be fooled by the lightweight, compact design of this worklight. 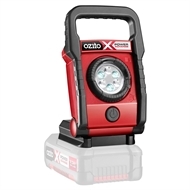 With 3 super bright LEDs, it provides a massive 270 lumen of bright lighting. 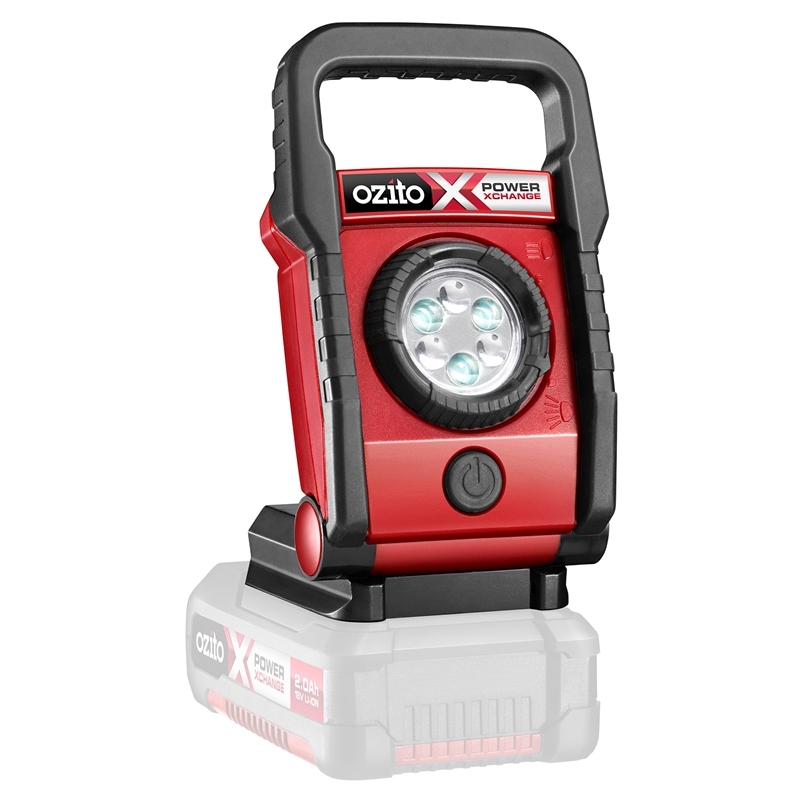 The adjustable light beam allows you to easily change between targeted spot lighting and flood lighting. 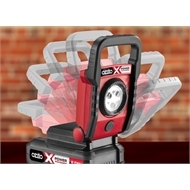 With 7 set lighting angles you’ll be able to position the worklight to suit many varied work areas.